EXCLUSIVE SET NEWS! SPOILER ALERT! First of all, I have to admit, I have never played the popular board game, “Trivial Pursuit”. I only have other game shows to compare it to. The show is hosted by a Christopher Knight, a.k.a., Peter Brady from “The Brady Bunch”. During the early tapings of this show, he was flat with not a lot of charisma for a host. He limited himself to what he was told by the producers. I hope this changed as he got more comfortable with hosting during later tapings. 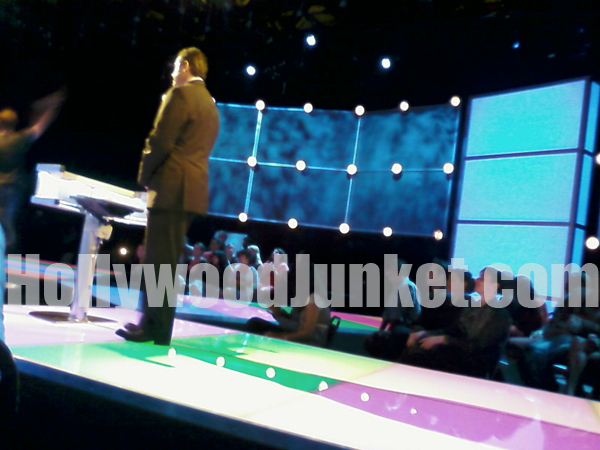 Above photo: Host, Christopher Knight waiting in between takes on his new game show. 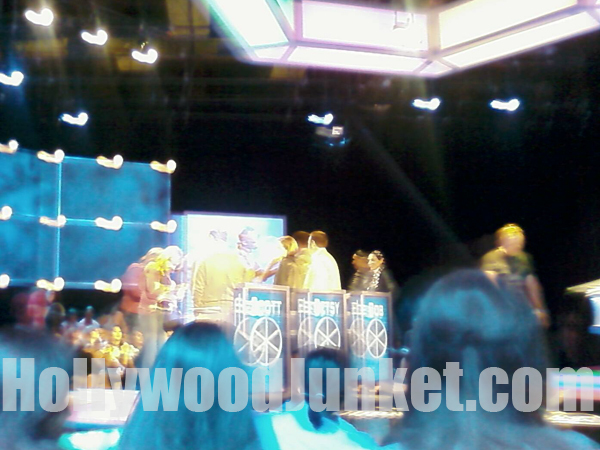 Three contestants challenge each other in several rounds of trivia questions asked by people across the country who were videotaped by production asking their questions via a big screen in the studio. Questions are placed within topic categories. For example, sports, television, etc. Players must collect six color-coded game pieces, or “wedges” by answering their questions correctly. The two players with the most wedges by the end of round one, go against each other in the second round. The player with the least, is sent home at the end of the first round. Contestants in action on stage. “America’s Team Captain” (a live in-studio guest)who is seen via a screen and is there to represent and make comments, along with pre-recorded questions given by other everyday folks, trying to stump the players with their trivia. The two contestants go against each other in the second round, called “the hot pursuit round”. Whomever answers the most questions correctly, therefore, gaining the most wedges, wins this round and goes-on to the final round, where he, or she answers questions randomly shuffled within six different categories and goes head-to-head with “America’s Team Captain”. With each question answered incorrectly, the money in banked by “America” (really, the people that participated with their questions). 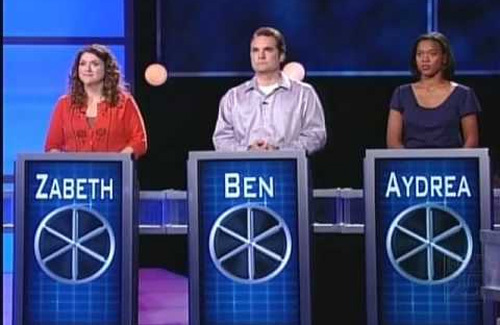 If by the end of this round there is more money earned by “America”, than by “the studio” (or, contestant), “America” gets to split the winnings. Typically that may be somewhere between $200 to even $1000. One attempt to stump a contestant was the question, “Who owns the Kwik-E-Mart on The Simpsons?” The contestant answered with “Apu”. Later, after the show taping, an audience member yelled-out that the answer was incorrect. Any “Simpsons” fans out there know the answer? Maybe you’d do better on “Trivia Pursuit”. The show is set to air staring September 22nd. Locally in Los Angeles on network “My13”.